I’m very pleased to welcome Lindsay Galvin, author of The Secret Deep, to Queen of Contemporary today! Lindsay has long been a friend of mine and it’s been wonderful watching her writing career blossom over the years. 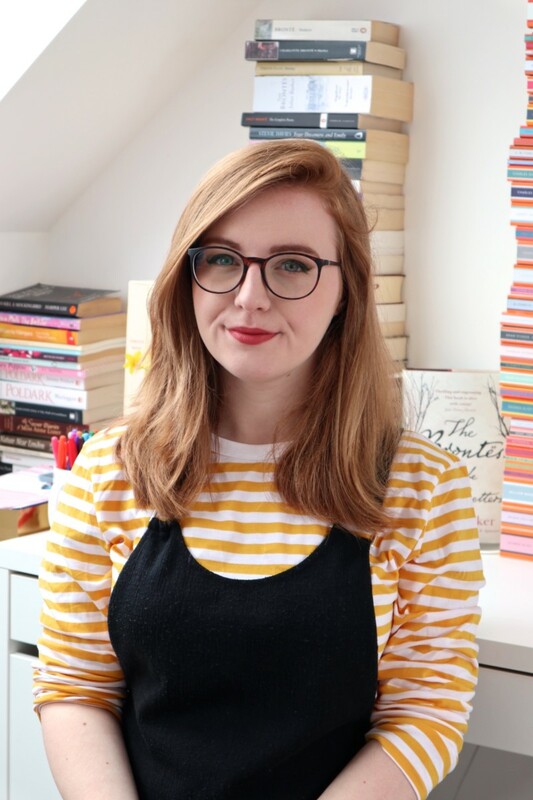 She’s always been very open and honest about both the hardships and successes she’s had whilst writing, and is a much-needed voice in the YA community. One of my favourite characters in THE SECRET DEEP is Sam Banks. The story is dual narrative, told from the point of view of fourteen year old Aster and sixteen year old Sam, but it wasn’t always that way. Sam’s storyline was added later during edits. These two characters have different threads, which intertwine so you never see the same action from two points of view, but Sam’s quest becomes equally important to Aster’s in perilous ways. I am a feminist and continuously aware of male and female representation in films, books and especially my books. I don’t want to see any more inequality and damaging representation, but there’s still such a long way to go especially in the movie industry. Many YA books are trailblazers in combatting this. Creating women and girl characters as multi-faceted and complex as they are in real life felt natural. I still found myself slipping into tired stereotypes, but I was vigilant and made sure I edited them out. I wanted to include rich female friendships and family relationships, a variety of motivations, realistic flaws and struggles. Aster driving the action of her story came quite naturally and her character developed over five years. But what about adding a new boy into the mix? I certainly didn’t want him to save the day, or save her. Cue Sam. I think it’s fair to say moody and mysterious heroes are common in YA and teen storylines. I’m a big fan of hilarious @broodingYAHero and the way it explores stereotypes – some of which I have loved reading just as much as I adore a love triangle. But I have often wondered where the ‘good lads’ are (that’s how my dad would describe Sam and the boyfriends I had he didn’t hate). These boys are out there already; I had brilliant writers such as Sarah Barnard, Patrick Ness, Rainbow Rowell, Non Pratt, and many others to inspire me. Emotional issues that can be solved by a girl. A need to arrive at the last moment to save the day. ‘Bad Boy’ personality traits with a good heart. Excessive bravery or a sacrificial personality. 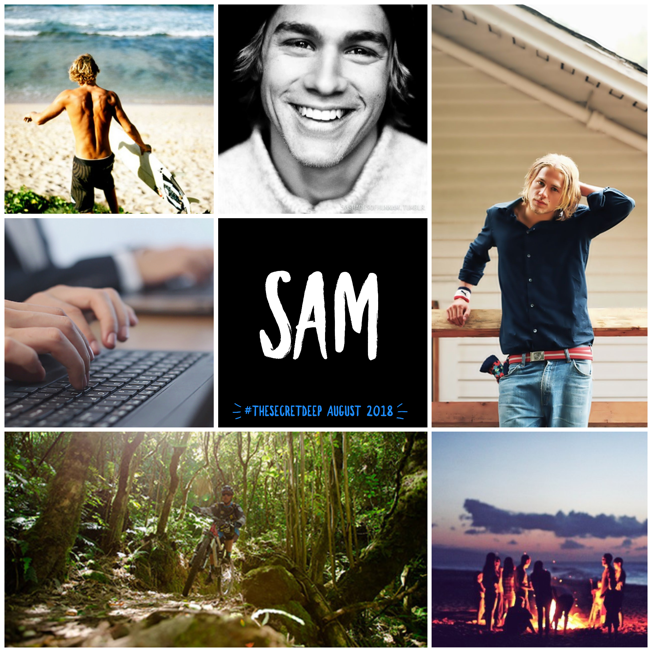 As I wrote my way into Sam, he felt very real to me. He’s flawed, but not in a way that a girl needs to fix, he’ll learn his own lessons. He’s got a serious lack of judgment at times because he’s sixteen and I throw some very weird stuff at him. He is both indecisive and reckless, but not without noticing it and freaking out. He’s brave but not without being understandably terrified. He loves his family above everything and is in awe of the girls that he recognizes are a lot braver than him. He notices girls are attractive but that isn’t all he notices about them. He never takes the lead at the expense of a girl and that’s exactly the way he likes it. He’s got a dry sense of humor. What I hope above all is he feels real to readers. Can you tell from the aesthetic I also think he’s very cute? The best boss I ever had inspired me to fail.